My interest awakened by a cheap RTL-SDR ‘dongle’, I thought it was time to try out a more serious software-defined radio (SDR) receiver with my iMac. 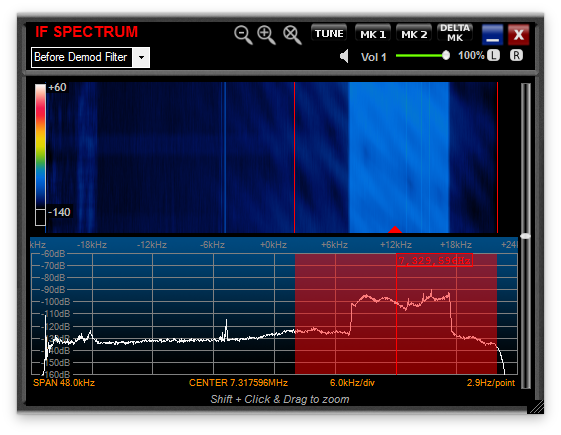 I then looked for a high-quality SDR which was well-supported by Mac software. My preference was for a device which interfaced via Ethernet, which would make a driver unnecessary, and would ease the issue of OS X support. 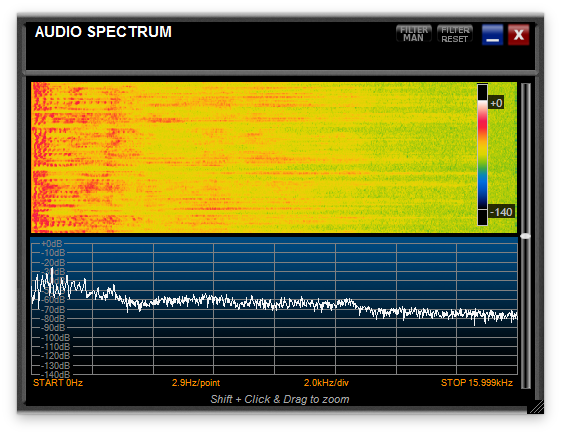 However I also wanted VHF coverage, and was unable to find a reasonably priced SDR which worked over Ethernet. Reviewing the hardware possibilities, the ELAD FDM-S2 stood out in terms of value for money; being a USB system, though, it relied on drivers, which were only available for Windows. Reports were, though, that they worked fine under virtualisation, such as Parallels Desktop. So I bought Parallels and paid my Microsoft tax for a copy of Windows 8.1, which I duly installed on my iMac 27″ mid 2011 (iMac12,2), with a quad-core i7 running at 3.4 GHz, and 16 GB of memory. The FDM-S2 is small, and powers through its USB interface. The standard presentation includes necessary cabling (including a USB splitter cable), a couple of antenna port adaptors, a soft bag in which you can move the radio, and an 8 GB USB ‘thumb drive’ containing the software and manuals. The front panel is clean, with power and USB activity lights. At the rear, the socket which looks like an ancient DB-9 serial port is manufacturer-specific which would be useful to someone integrating it into a multi-receiver or transceiver system. Installation completed quickly, and according to the manual. I also set a Windows 8.1 laptop up for test purposes, and the OS X / Parallels option is actually far superior to many Windows 8.1 systems; I have been unable to find any shortcomings or compromises that come with virtualisation under OS X Yosemite. One huge advantage of running Windows under virtualisation is that when it has to restart after installing its incessant updates, you can leave that to Parallels to handle whilst you carry on using your Mac. And with my quad-core i7, the virtual PC runs very briskly. Parallels is cunningly designed to shelter us from having much to do with Windows. Provided that you set its preferences to assign the radio to Windows, all you have to do is run the ELAD FDM-SW2 application from the Dock, and Parallels automatically starts up, loads Windows 8.1, and then launches the ELAD app. It is almost as good as running a native OS X app. 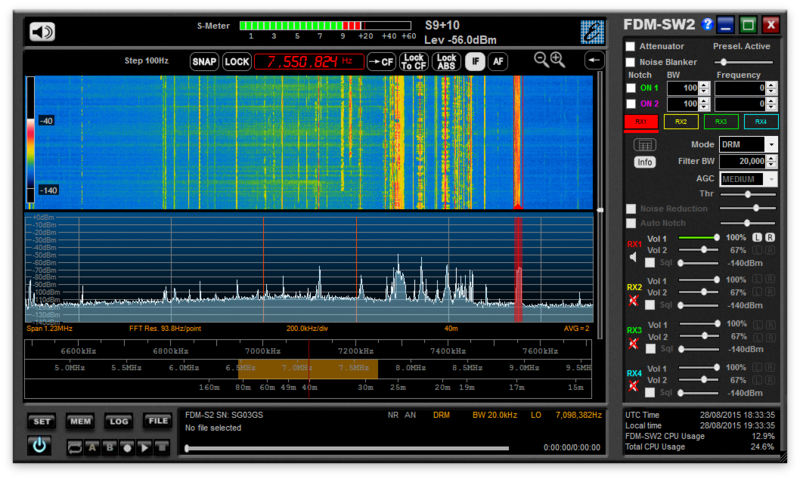 ELAD’s software is far superior to the free apps which I use for my RTC-SDR, and makes the FDM-S2 a real joy to use. It has many features which I have yet to explore, and very few quirks. It is also very straightforward to use: I have seldom had to look up functions in its documentation. The main display has a standard signal strength meter (S-meter) at the top, below which is a glorious waterfall display and the signal strength graph. The range of the waterfall and strength window can be changed easily, and they are linked to the upper of the triple frequency sliders. These are unique to ELAD, and make tuning suprisingly flexible and precise. The top of the three sliders acts as the frequency scale for the waterfall and strength graph above, and defaults to a span of 1.2 MHz. Below that is a broader span of 5 MHz, and then at the bottom is an even broader span which will accommodate all the amateur HF bands from 160 to 10 m.
This is a beautiful piece of design: dragging the bottom slider enables you to move very quickly, but somewhat crudely, around. Once you are in the right area, you can tune more precisely with the middle slider, then more precisely still using the top slider. There are several other controls available to help precise tuning: the left and right cursor keys step up or down by 100-250 Hz, and you can open a tuner window which gives precise control down to single Hertz steps. Below the tuner system are main controls to turn the radio on, and control the recording feature. Earlier versions of the software had some unfortunate bugs in recording, but these seem to have been sorted out now. If you are as remiss at reading manuals as I am, I should draw your attention to the fact that the app can record either audio (AF), or the whole intermediate frequency (IF) used for signal processing. I only discovered this when I was unable to get any Mac app to play back the .WAV files recorded. This was because they were more than a million 24-bit samples per second across the entire bandwidth which had been displayed at the time! If you want to record audio, then you will need to open the preference settings (the SET button just above the power button, at the bottom left) and make that change. Although it tripped me up, the ability to make full-width IF recordings is remarkable, as you can play back a complete period of listening, and retune to frequencies which, at the time, you were not listening to (within the displayed bandwidth). This is almost as good as being able to travel back in time, although the .WAV files are pretty huge when recorded in IF. The right edge of the main window contains all the other controls: to switch between the four separate receivers included, a noise blanker, filters, volume controls, and so on. The most important controls there are for the mode, bandwidth, and gain control. Supported modes at present include four different flavours of Morse (CW), three sideband (LSB, USB, DSB), AM (with or without synchrony, and ECSS), FM (regular or wideband, including automatic stereo decoding), RTTY (an old digital mode), and DRM (Digital Radio Mondiale, a modern HF-based digital system even more sophisticated than DAB). There are additional windows which you can open to support the main. These cover the IF spectrum, handy for precise tuning as an effective magnifying glass on the main spectral displays, the audio spectrum, frequency, and a special window for DRM. I have only described the basic features so far. ELAD have recently incorporated a custom web server into their support software, which repeats some controls and audio to any browser able to hook up to it. This would, for example, let you listen to and control your SDR from an iPhone or iPad on the same WiFi network – which is even more flexible than my original wish for an Ethernet-based SDR system. Enlarging the main window also reveals extra controls, including quick-tune buttons to take you to any of the amateur HF + 6 m bands with a single click, and its very neat station memory, which you can build to take you straight to your favourite stations. Behind this excellent app is one of the best radio receivers which you can buy. I do not have the test equipment to put it through its paces, but others who have done so have documented its excellence using the usual battery of tests. I have used it with a multi-band HF mobile whip, and my vanilla HF antenna, and it is as sensitive as any radio that I have used. Being an SDR it has some remarkable performance benefits, particularly in handling weak signals next to very strong ones. Traditional analogue radios tend to struggle in these circumstances, as they cannot achieve complete cut-off, and their very sensitive electronics tend to spread the edge of the strong signal, making the adjacent weak signal hard to separate. The radio design is aimed primarily at HF + 6 m reception, and therefore uses direct sampling at 122.88 Msamples per second. Under Nyquist’s Law, this means that it can only accurately process signals up to 61.44 MHz (half the sampling frequency), and would not be able to process VHF signals, for example. However ELAD supports its use with undersampling to cover two valuable VHF bands, 74-108 MHz, which covers most broadcast stations, and 135-148 MHz, which covers the amateur 2 m band. Undersampling does of course deliver slightly poorer performance. Interestingly the radio still tunes to frequencies in the 108-135 MHz range, although it does not there meet the same performance standards as in the supported undersampled VHF bands. Operating out of band, for example listening to air traffic control signals, it still performs at least as well as my RTF-SDR, which is very impressive. Some years ago I used to pass the audio output from my Kenwood TS-2000 desktop transceiver through an audio input system and process it on my Mac, which was fairly sophisticated at the time. The rig itself had digital signal processing, and I used real-time signal processing on the Mac as well. This made tricky operating conditions – such as meteor-scatter – considerably easier, for example, and could often bring weak signals out of the noise. ELAD’s SDR is in a completely different league, in terms of its ease of use, vast range of features, sophistication, and performance. The single radio, with its four receivers, is a joy to use, whether listening to a pile-up on a rare amateur station, or listening for pleasure to DRM or FM stereo. I think that it does merit being termed revolutionary. If you interested in radio, book a demonstration at your nearest stockist. And don’t forget your bank card, as you are unlikely to be able to walk out without buying one. I bought mine from ML&S in the UK. Posted in General, Macs, Technology and tagged DRM, ELAD, FDM-S2, OS X, Parallels, radio, receiver, SDR, Windows. Bookmark the permalink. Thank you for the review. It help me decide to get an Elad. 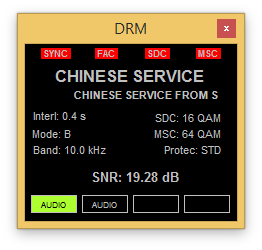 I have been DXing for some time and recently decided to give SDR a ry. I puchased the Commradio CR-1a with unhappy results: the device is magnificent both in performance and ease of use/design but its software is deceiving: poor in visualization and browsing options. 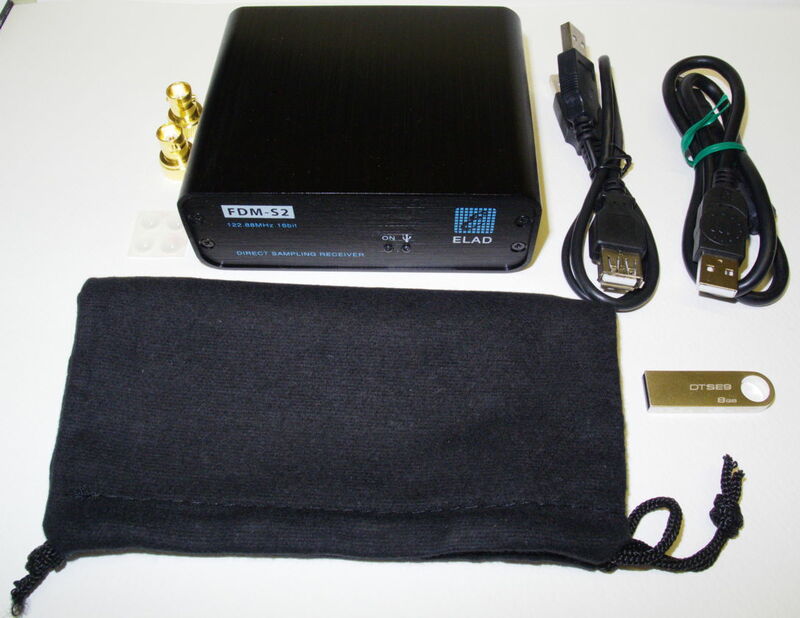 Also the radio doesn’t work with other SDR clients so I decided to return it and purchase the Elad FDM-s2. I’m so looking forward to try it out. I hope that you enjoy your FDM-S2 as much as I have enjoyed mine, and look forward to your comments here. After reading this post, I was convinced to purchase an FDM-S2 at the Dayton Hamve ion to run with my MacBook Pro. So for about two months, I have been using ELAD FDM-SW2 under Windows 10 on Parallels Desktop on Mac OS X 10.11.6. The software runs very well under that system except for one problem. When I playback a recording and use the A and B buttons to create a new file from the recording (as described on page 19 of the manual), I get a CutFile error after I name the new file and try to save it (and cannot save the new file). Have you seen this problem with your Mac set=up? Are there any solutions or work arounds for this problem? By the way, I asked about this on the ELAD Yahoo e-mail list a few days ago, but have received no replies so far? I have had a couple of errors with recording under Windows 8 and Parallels, but I have not been using Windows 10. Perhaps someone else here has experience?